We have covered jailbreak iOS 4.3.1 guides for iPhone 4, iPhone 3GS (New & old bootrom) now here is our guide to jailbreak iPod Touch iOS 4.3.1 using PwnageTool bundles, as usual the jailbreak is tethered jailbreak and requires tetheredboot utility every time you want to reboot your idevice. Keep all your files on desktop for easy access. 3. 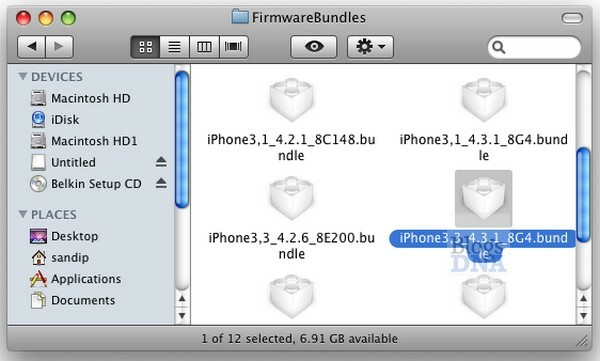 Now copy PwnageTool Bundles for iPod Touch 4.3.1 iOS and place it in above “FirmwareBundles“ folder and close the folder. 4. 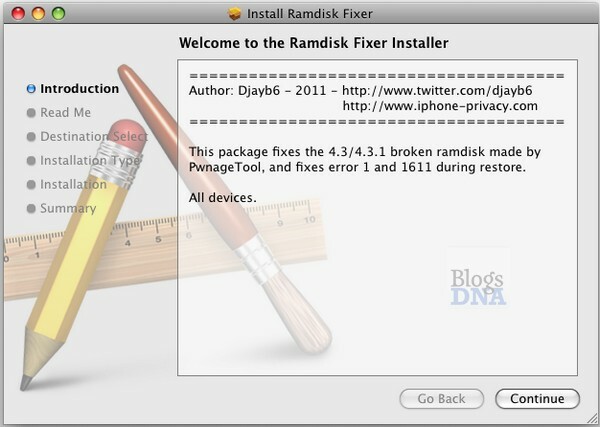 Now start RamdiskFixer_v1.7.1 and follow the on screen instructions & complete the installations (you must comply with readme file of ramdisk fixer). 6. Now start iTunes 10.2 and create iPod Touch backup for safety. 8. iTunes will prompt for device in DFU mode, click Ok.
9. Now press Option key and click on update button on iTunes & browse and select iOS 4.3.1 iPod Touch custom firmware created using pwnagetool bundles. 10. Let iTunes complete the update process, Once iTunes completes the restore process your iPod Touch 4G will reboot. 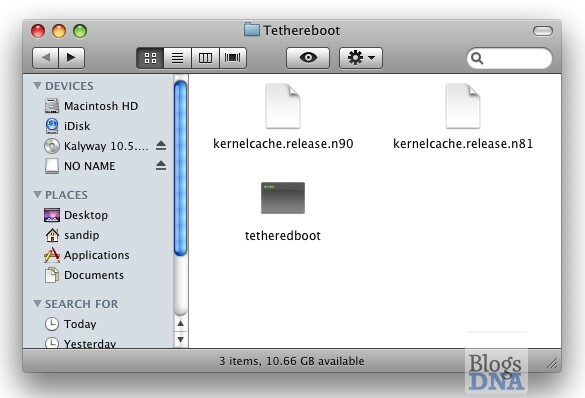 Since this is tethered jailbreak every time you reboot your deice you need to connect to Mac and tethered boot using tetheredboot utility. Now enjoy your newly jailbreaked iPod Touch 4G 4.3.1 iOS. You have repeat above steps every time you reboot your iPod Touch 4G.